The first computers were people! That is, electronic computers (and the earlier mechanical computers) were given this name because they performed the work that had previously been assigned to people. "Computer" was originally a job title: it was used to describe those human beings (predominantly women) whose job it was to perform the repetitive calculations required to compute such things as navigational tables, tide charts, and planetary positions for astronomical almanacs. Imagine you had a job where hour after hour, day after day, you were to do nothing but compute multiplications. Boredom would quickly set in, leading to carelessness, leading to mistakes. And even on your best days you wouldn't be producing answers very fast. Therefore, inventors have been searching for hundreds of years for a way to mechanize (that is, find a mechanism that can perform) this task. 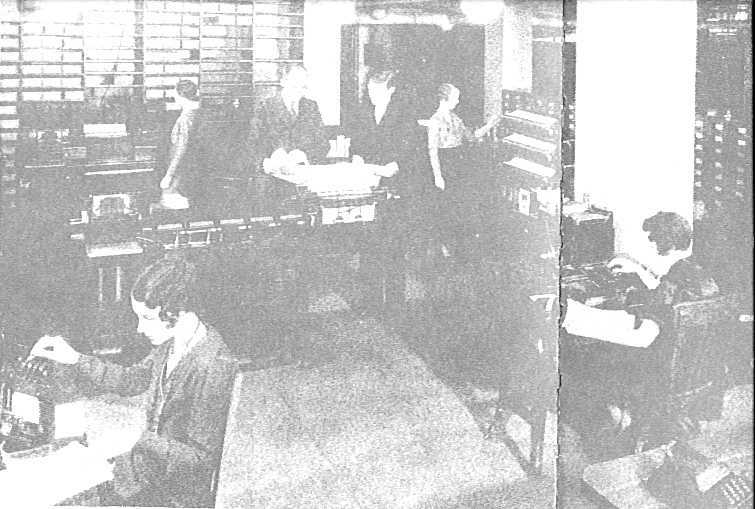 A typical computer operation back when computers were people. 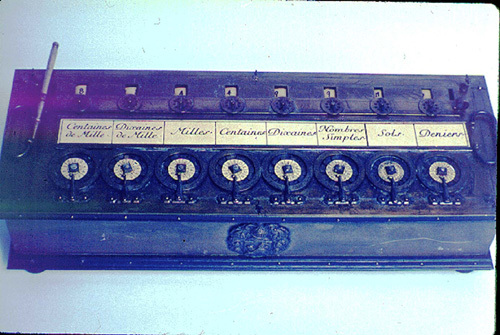 The abacus was an early aid for mathematical computations. Its only value is that it aids the memory of the human performing the calculation. A skilled abacus operator can work on addition and subtraction problems at the speed of a person equipped with a hand calculator (multiplication and division are slower). The abacus is often wrongly attributed to China. In fact, the oldest surviving abacus was used in 300 B.C. by the Babylonians. 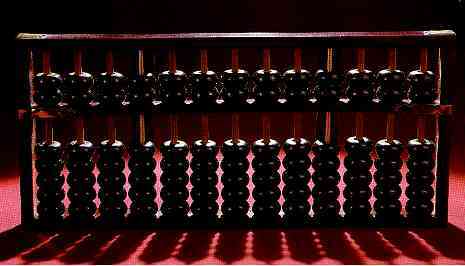 The abacus is still in use today, principally in the far east. 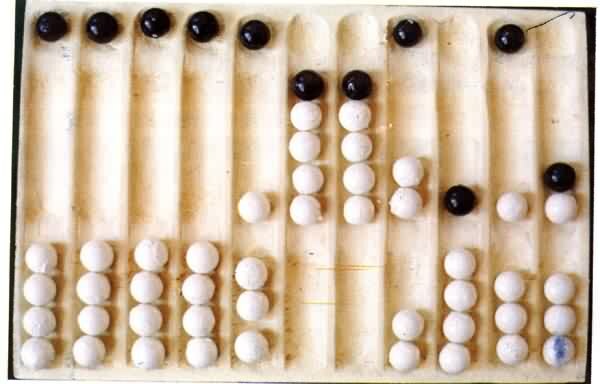 A modern abacus consists of rings that slide over rods, but the older one pictured below dates from the time when pebbles were used for counting (the word "calculus" comes from the Latin word for pebble). A more modern abacus. Note how the abacus is really just a representation of the human fingers: the 5 lower rings on each rod represent the 5 fingers and the 2 upper rings represent the 2 hands. In 1617 an eccentric (some say mad) Scotsman named John Napier invented logarithms, which are a technology that allows multiplication to be performed via addition. The magic ingredient is the logarithm of each operand, which was originally obtained from a printed table. But Napier also invented an alternative to tables, where the logarithm values were carved on ivory sticks which are now called Napier's Bones. Napier's invention led directly to the slide rule, first built in England in 1632 and still in use in the 1960's by the NASA engineers of the Mercury, Gemini, and Apollo programs which landed men on the moon. Leonardo da Vinci (1452-1519) made drawings of gear-driven calculating machines but apparently never built any. 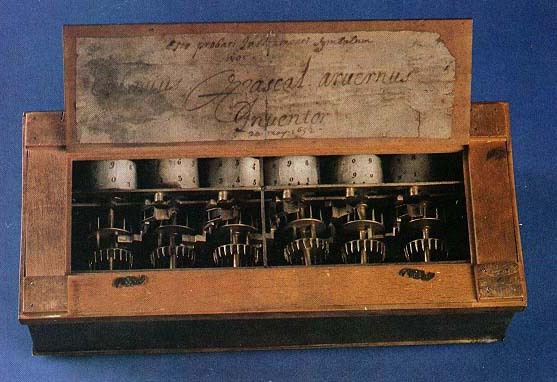 The first gear-driven calculating machine to actually be built was probably the calculating clock, so named by its inventor, the German professor Wilhelm Schickard in 1623. This device got little publicity because Schickard died soon afterward in the bubonic plague.